Vivo just launched a selfie-focused smartphone in India, named Vivo V7 Plus. The device highlights its Bezel less display and a 24-megapixel front facing shooter. It will be available in Matte Black, Gold, and Rose Gold color options. The Vivo V7 Plus operates on Android 7.1 Nougat Operating System out of the box packed inside the 2.5D curved glass that comes with a Corning Gorilla Glass 3 topping. The device is equipped with a 1.8 GHz 64-bit octa-core Qualcomm Snapdragon 450 chipset processor, paired with an Adreno 506 GPU. The smartphone measures 155.87 x 75.47 x 7.7mm and weighs 160 grams. 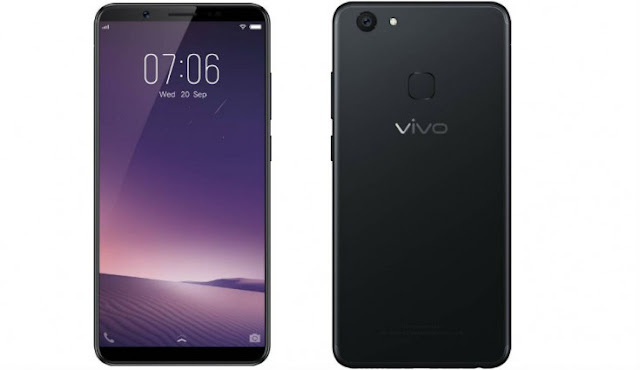 The Vivo V7+ smartphone comes with 4 GB of RAM which helps the device run smoother without any lags and 64 GB of internal storage capacity, which can be extended up to 256 GB using a MicroSD card slot. The Vivo V7+ sports a 24-megapixel selfie camera with a Moonlight Glow selfie flash and f/2.0 aperture. It comes with a 16-megapixel primary camera that has f/2.0 aperture and dual-LED flash. The phone features a 3225mAh battery for an extended battery life. Connectivity options include 4G VoLTE, Bluetooth v4.2, Wi-Fi, GPS/ A-GPS, FM radio, Micro-USB, and 3.5mm audio jack. Sensors on the smartphone include a digital compass, ambient light sensor, accelerometer, and proximity sensor. 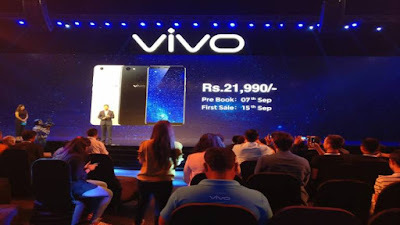 The Vivo V7+ price in India is Rs. 21,990. The device will go on sale from September 15 in India and pre-bookings starts from Thursday, September 7.